Quality paper products. Great prices. Much more. 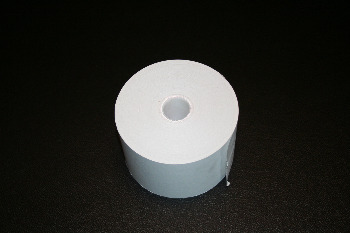 Find Top Quality Thermal Paper, Receipt Paper, POS Paper, Paper Rolls & Thermal Rolls at Pro Source Paper. Pro Source Paper is your online source for thermal paper. With just about every possible size of thermal paper roll available, we can deliver the receipt paper you need for your cash register, ATM, or credit card machine. And we can deliver it for less, with most products shipped out same day! Of course, we offer a lot more than just thermal paper! We also carry full lines of printer ribbons, printer cartridges, price guns and labels, and other items to keep your business running smoothly. And don't forget to add a welcoming touch to your restaurant with our kraft paper napkin rings and crayons! The paper napkin bands provide an attractive and sanitary utensil presentation and the restaurant crayons for kids are always a big hit! 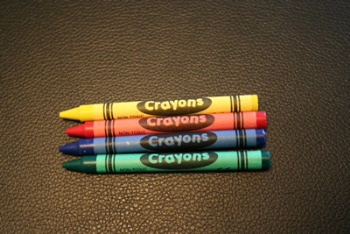 Choose from bulk crayons or 4-packs of crayons. 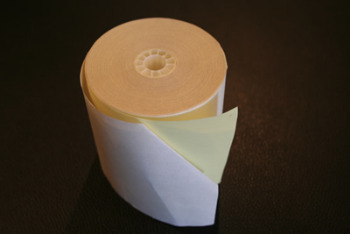 In addition to thermal paper, restaurant crayons, and napkin bands, we also carry a full line of bond paper receipts, Garvey price guns and labels, ATM receipt paper, and much more. And our service is just as impressive as our selection. Buy thermal paper (or any of our other products) from Pro Source Paper and our customer service department is just a phone call away if you have any questions. Of course, our shipping department will go the extra mile to keep your shipping costs low by combining packages whenever possible. Make Pro Source Paper your choice for POS thermal paper receipts and all of your printing and paper needs. Welcome to the new Pro Source Paper website. With increased security, simpler re-ordering and the same high quality products at competitive prices, Pro Source Paper is ready to take care of you in 2018! For our returning customers, you will have to create a new login and password - sorry for the inconvenience. You will see for larger orders we ask that you call us for your freight quote - we want to find the best possible shipping rate available! If you ever have any questions or concerns, please give us a call at 877-387-2737! Thanks again for your time and consideration.